Need something “out of the box” to eat for dinner tonight? Want to try something new? Henderson and Las Vegas, Nevada have many great international food joints. Check out the list below for some restaurant ideas that will take you across the globe. Enjoy a taste of Thailand at Lotus of Siam, which offers delectable dishes to suit a variety of tastes. This is the most renowned Thai restaurant in Las Vegas and the cuisine speaks for itself. The wine list here is spectacular as well. Feast on hearty Italian dishes, from spaghetti Bolognese and Caesar salad to Margherita pizza and tiramisu at this authentic restaurant. A taste of italy right in the heart of Vegas. It’s one spicy meatball! The Great Greek is ranked as the number-one restaurant in Henderson on TripAdvisor, and, for good reason. Past diners rave about the gyros, Greek salad and baklava. Start your meal off with some hummus or tzatziki, chow down on a falafel pita or a souvlaki plate and fries and finish it off with ice cream or cookies. You might not even have to go to Greece after dining here. Are you indecisive when it comes to food? Will you be dining with a lot of people? If so, try this buffet. Prime rib, sushi, crab, pasta and more are on offer. 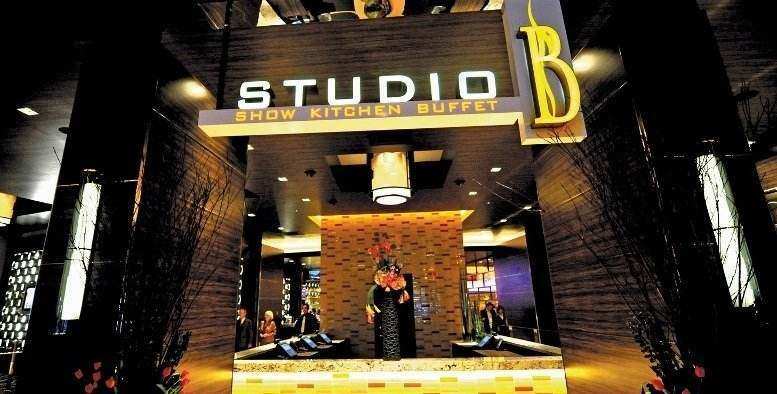 It has one of the best buffet offerings in Vegas. Mexican fare is focus at Lindo Michoacan, where diners can eat tacos, burritos and other dishes while enjoying a drink from the extensive menu. A kids menu is also available. Great for the entire family and very festive. Whether or not you are a vegan or eat meat, VegeNation offers an eclectic, plant-based menu. Go for brunch, or, try the global-inspired dishes for lunch or dinner. Mouth-mattering options such as African yam stew, bao buns, pizza and brownie sundaes are on offer, as well as refreshing smoothies. Do your stomach and the planet some good and eat here. Fried bananas, sirloin, fish stew and flan are just some of the dishes you can try at Texas de Brazil, a Brazilian restaurant that offers exceptional service and great fun. What will you try tonight? Be sure to bring your stretchy pants. If you are looking for an elegant night out, head to Le Cirque, a French restaurant that offers fine dining. Fish, risotto, rib eye, and a special chocolate ball dessert await your taste buds. Make a reservation, dress up and get ready to toast to an unforgettable night. Get a taste of the world at any of these eateries. Enjoy your meal!